We provide MBC of DWT 2000MT and above for the coastal operations in India on time charter / voyage charter for Dry Bulk and General Cargo. Rice being the staple food in many countries, it’s also in high demand. Most of the Rice shipping is done from Asian countries to worldwide destination as most of the rice cultivation is done in Asian countries. China and India are among the highest producers of rice and almost fifty percent of the cultivation is done in these two countries. The other countries famous in cultivation and exporting of rice are Vietnam, Thailand, Myanmar, Indonesia and Pakistan. Other Asian countries trade in rice and most of the rice is imported by African Countries. Shipping Services for Rice in Bulk. We provide services for rice shipping from any Asian Countries port to any safe port in world. Mostly rice is packed in 50 kg PP Bags and this makes it easy for handling and stowing in ships. Shipping rice is mostly done either in break bulk or containers. Spot ships available for ready rice shipments at any port and the cargo ships are ready to call loading port in short notice of minimum four days after signing fixture note. Most of the vessels required by rice shippers are of carrying capacity 5000 MT, 8000 MT, 12000 MT, 15000 MT, 25000 MT and above. We are active ship brokers and work close to owners, capable of negotiating and arranging cargo ships for rice in short notice matching rice shipper ocean freight ideas. All cargo ship are well equipped for loading and stowing rice cargo are available on voyage charters as well as on time charter. Cargo holds of these ships are possessing proper ventilation and rice bags can be stored properly for long distance sailing. The experience and professional crew always maintain and monitor the stowage and dunnage of rice being loading on ship. For all your rice shipments and timely and safe rice shipping in break bulk, do contact us. We will provide you with best shipping option meeting all your requirements and best prevailing ocean freight. We arrange complete solution for your pipe cargo shipments originated at any port in India or any safe world port and transporting the cargo safely and on time to destination port on time with best shipping option at competitive and cheapest freight option. Pipe Cargo is safely transported as over dimension cargo and project cargo depending upon the diameter and sizes of the pipes. Small sized or diameter pipes are transported as bundles. These bundles are properly lashed with metal strips onboard ships. Along with above details, we also request our clients to submit us with charterers / shippers (hiring company) details and their background informing us whether in past they have chartered/ hired ship(s) in past. Above all information will help us to work out competitive ocean freight and timely loading and delivery of your pipe cargo. 1.5mt MDO during idle and 2.3mt MDO while workding. We are ship brokers and assist shippers / exporters and charterers by arranging suitable cargo ships, Mini bulk carriers; self propelled barges, Flat Top Barge, Cape Size vessels, etc for their cargo generated at Kochi (Cochin) Port or any port in India. Our services include ocean freight calculation for business development, handling loose bulk dry cargo, cargo ship arranging and timely loading and delivery. We arrange cargo ships for grains, fertilizers, bagged cargo, loose bulk, agriculture product cargo, coal, river sand, cement, project cargo, over size cargo etc. We work jointly with other broker sand shipping agents located at various ports in Indiaas well as at safe world ports along with closely related to ship owners. 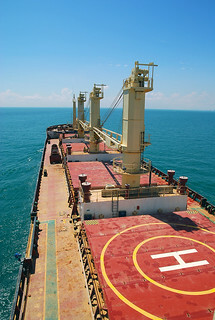 The cargo ships are arranged for single lot of shipments and small cargoes can be clubbed with other cargo. Break Bulk cargo which is loose and open and not containerized and are shipped in cargo shipsfrom India to other worldwide destination ports. We provide exclusive services for small shipments generating at Kochi (Cochin) port by arrange small handy cargo ship. 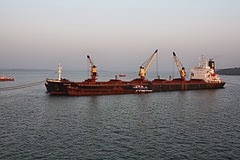 Coastal operations for dry bulk cargoor project cargo from any port in India to any port in India are also available. We are capable of arranging cargo ship, MBC or self propelled barges for quantity of 2000 Mt to 10,000Mt and above.